A lifetime after a brother’s death in Vietnam, looking for him in Washington — and finding him in Maine. Almost everything has changed since my visit to Washington, D.C., in November 1989. It was a weekend trip with two close friends to attend the Mobilize for Women’s Lives rally. That was a proud and hopeful moment for women. Voices, 350,000 strong, loud and clear, standing up for deeply held beliefs. We felt part of something important. I still have the purple T-shirt I wore. 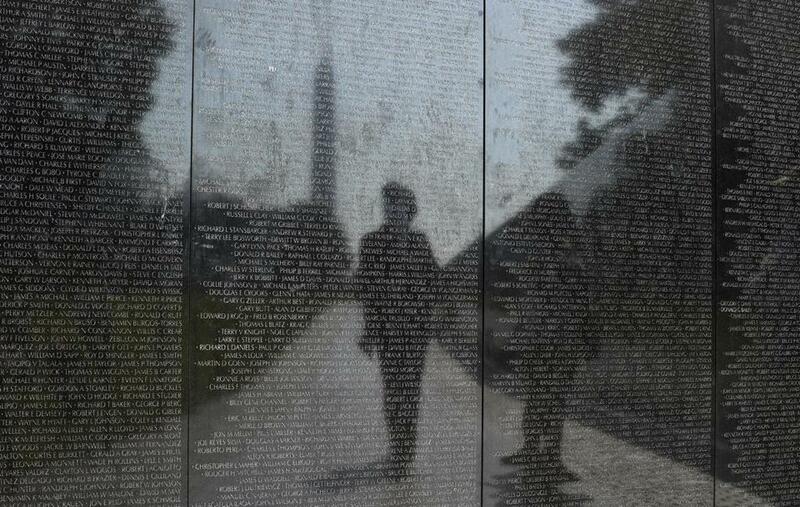 The day after the march, we went to the Vietnam Veterans Memorial to find my brother’s name, etched in the black granite. A park ranger explained that the names are organized chronologically by date of death. We found the directory and looked up May 6, 1967. There he was — Curtis E. Chase, Panel 19E. As we walked toward the designated spot, I was overwhelmed by the sheer number of names. Each one represented someone’s parent, child, spouse, or sibling, and a Gold Star family left behind, lives forever changed by the loss. It was one of those spectacularly clear days that brings everything into focus, sunny and crisp, the leaves in full-dress colors. Curt’s birthday had been two days earlier. He would have turned 46. The numbers flash into your mind. These men and women were so young, had so much ahead of them, big things and small. In Curt’s last letter to me, he wrote that he could not wait to get back to the island on the lake in Maine that our Grandpa Chase had bought in 1928. Eagles live there, perching on the rugged pines overlooking the back cove. Curt’s name was about a third of the way down from the top — just low enough that if I stretched, I could reach up and touch it. I made a rubbing of his name. The tears fell freely behind my sunglasses. I left a letter at the bottom of the panel with all the other mementos, the small flags, flowers, and photos. Crowds were moving along slowly, sad faces reflected in the polished surface. I had hoped that visiting the Wall would bring closure. It did not. I did feel less alone after seeing all the other names, 58,000 plus. Last spring, my daughter Sarah and I made a quick overnight visit to D.C. to see my niece and her family and their new baby. After spending time with them, we ventured to the Mall. It was 3 o’clock and 94 degrees. In this time of turmoil, Washington seems to have lost its luster. It has a different feel. Many vendors along the way were selling red MAGA hats. “That sounds good,” Sarah replied. And so we planned our first visit there together to find Curt’s name. It had been 51 years since that day in May of ’67. I had forgotten the number, but we found it and, in the sweltering May heat, followed the path to Panel 19E. We stopped and looked carefully at the names toward the top. His did not jump right out the way it had the first time. It looked at home, as though it belonged. For me, something had shifted. The Wall is stark and beautiful. Nothing conceals the pain written on its surface or on the faces reflected in the black granite. That pain goes to a quieter place over time, but it never truly leaves. When I think of my brother, I think of an eagle perched on the pine at the edge of the cove in Maine and of Curt as he was, in the place he loved most. “There it is,” said Sarah, pointing to Curt’s name. I reached up and ran my fingers over it. No flood of tears, but sadness, resignation, and acceptance. This time there was no letter. There were no big crowds, just a few photos, flowers, and silence. We took some pictures and talked about how hard it has been, how losing him left a huge hole in our family, and how I wish they had known each other. On Veterans Day 2018, Curt would have turned 75. Susan Chase Edgecomb is a writer in Needham. Send comments to connections@globe.com.